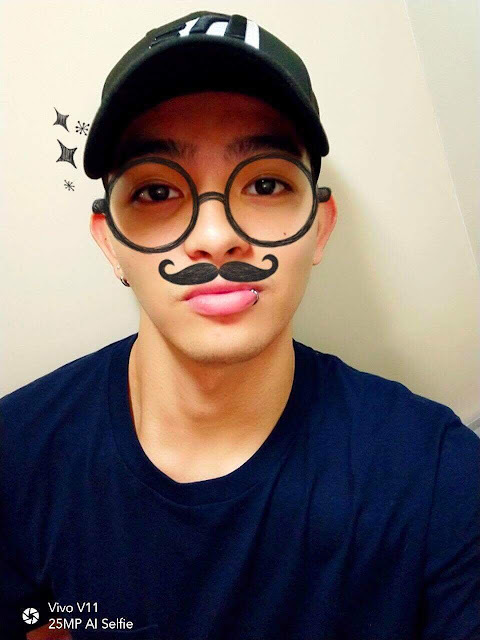 BoyandPH’s Joao Constancia looks cool with the Vivo V11 Augmented Reality (AR) sticker. 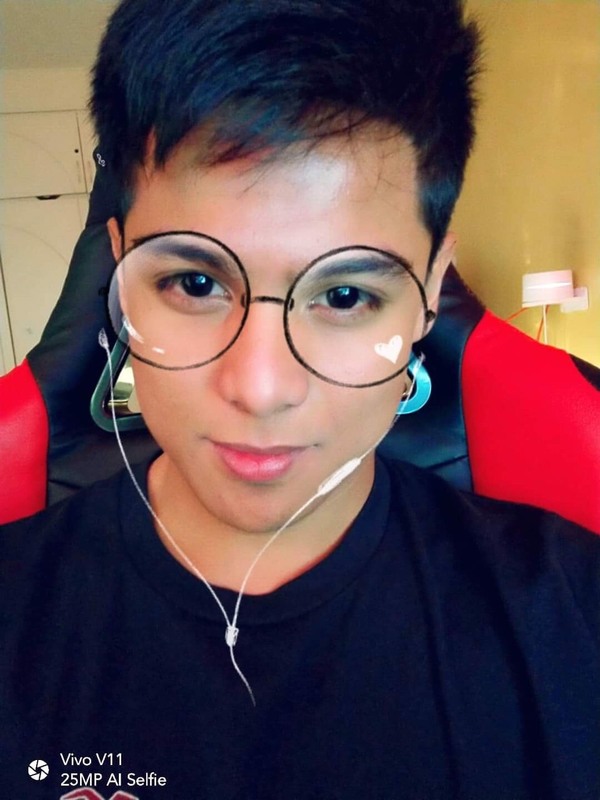 BoybandPH’s Neil Murillo makes a statement with a pair of trendy oversized glasses through the Vivo V11’s Augmented Reality (AR) stickers. 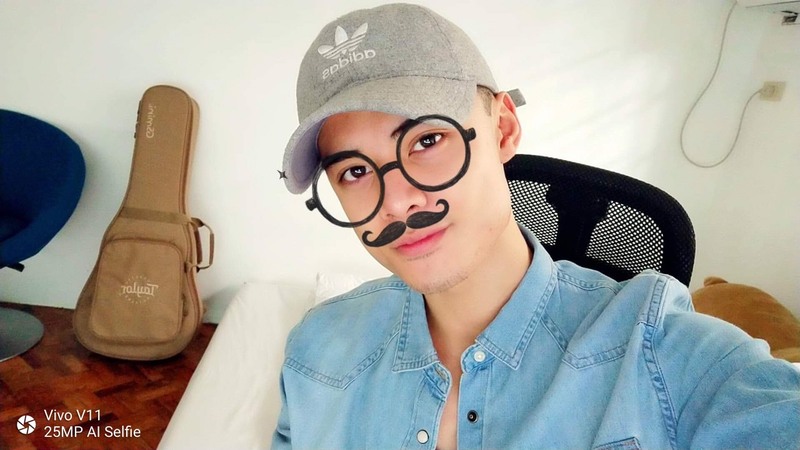 BoybandPH’s Russell Reyes dons a bold style with a pair of oversized glasses and surreal moustache with Vivo V11’s Augmented Reality (AR) stickers. You don’t have to use an app for cute stickers to enhance your photos since it’s already built in the V11’s camera. The AR stickers are entertaining and engaging decorations to further amp up your selfies. One may choose to be a sweet kitten, a royal princess, a demure bunny, and other adorable “kawaii” (the culture of cuteness in Japan) characters. 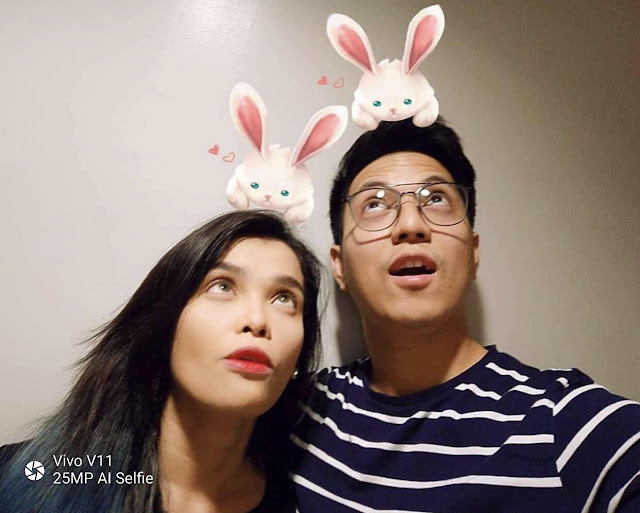 Aside from AR stickers, you can take perfect selfies because of V11’s superior Artificial Intelligence (AI) 25 MP Front Camera for excellent photo quality. It also has 12MP with Dual Pixel Sensors (24 million photosensitive units) + 5MP) Dual Rear Camera which boosts light sensitivity and focusing speeds. The AI Face Shaping Technology naturally enhances your facial features. V11 AI Face Shaping uses AI face-modelling algorithm to perfect portrait shots by transforming the 2D image into a 3D model to allow for more natural editing with individual treatments to the nose, mouth, and eyes. The AI Selfie Lighting now offers more lighting effects than ever before with the new Loop Light and Rainbow Light options. Its AI algorithms understand how the user’s face interacts three- dimensionally with light, enabling it to accurately separate the subject from the background and add artistic light treatments. When it comes to photography, framing the shot is crucial. AI Portrait Framing makes it easy by using artificial intelligence to guide the user to the best position and composition. V11 examines the current position of the photo’s subject, then directs the user to effortlessly produce perfectly framed portrait shots. Evidently, there’s no need to be a photography expert to get the perfect shot when you use V11. Establish a strong social media presence with V11 now. Consumers can now pre-order the Vivo V11 in two ways: On ground and online. It is available in all participating Vivo concept and multi- brand stores. It will come with exciting freebies—a gift set (bluetooth speaker and earpiece with selfie stick), as well as 6 months extended warranty. Fans may also pre-order the Vivo V11 on shopping websites such as Lazada, Shopee, Argomall, and Akulaku. Freebies such 10,000 mAh game power bank, a gift set (bluetooth speaker and earpiece with selfie stick), as well as 6 months extended warranty will be included.